We are just one week away from Arizona Gives Day! 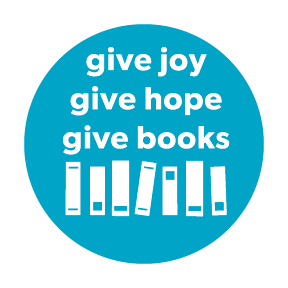 With YOUR help we can give joy, give hope, and give books to young children in southern Arizona and make sure they get the right start in school and in life! Your donation of just $10 or more makes a BIGimpact in the life of a child. In fact, Comcast will give Make Way for Books $10 for every unique donor, up to $2,000! Make Way for Books is also in the running to win an additional $15,000 if we have the most unique donors! This means your donation can make an even larger impact— especially when you encourage your family and friends to also support Make Way for Books! 1. Mark your calendar! Visit our Arizona Gives Day page on April 7th to make your donation! Any gift, no matter the size, is greatly appreciated and you can pledge your donation anytime today through April 7th! If you make your gift during the Power Hours on April 7th, you can help put Make Way for Books in the running to win additional prize money! When you give $25 from 1 – 2 p.m. or $100 from 4 – 5 p.m. you can help Make Way for Books win up to $5,000 more! 3. Spread the word! Share our Facebook page and forward this email to your family and friends along with a personal note as to why you support Make Way for Books! Every $10 donation helps to ensure that all children get the chance to read and succeed. With your help, we hope to get 500 people to donate $10 or more to show their support for early literacy in southern Arizona! Be sure to follow us on Facebook and Twitter on April 7th to join in on this exciting day and for your chance to win some great prizes when you donate! Then, come meet us at La Cocina! 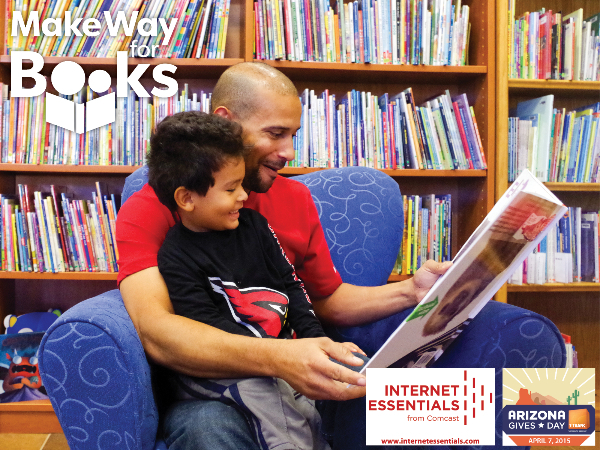 You’re invited to La Cocina on April 7th for a special Arizona Gives Day fundraiser with Make Way for Books! Join us for live music and entertainment throughout the night. Make Way for Books will receive 10% of all food and drink sales from 5-10 p.m. Our Storytime Volunteer, John Ross, and his dance group, the Rodeo City Wreckettes, will perform twice, at 6 and 7:30pm, followed by music from our friend Nöel Hennessey, as well as other entertainment throughout the evening. We hope to see you there! Copyright © 2015 Make Way for Books, All rights reserved.